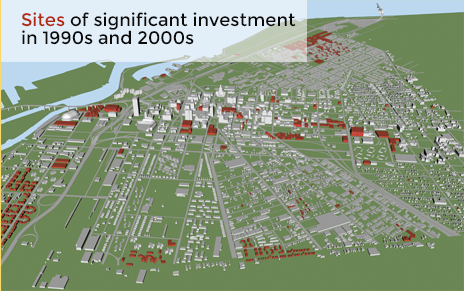 The Queen City Planning Series is comprised of four planning documents developed over a decade. 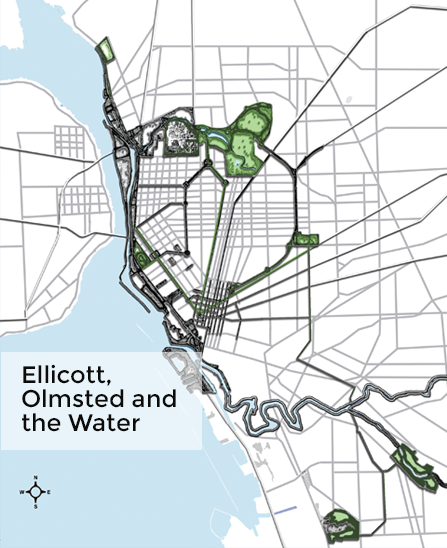 The individual documents include a comprehensive plan, a strategic plan for downtown, a strategic plan for the waterfront, and a restoration and management plan for the Olmsted park system. Together, they represent a nearly complete body of planning work for the City of Buffalo. Queen City in the 21st Century – Buffalo’s Comprehensive Plan, is a physical land use plan created to guide Buffalo to achieve a shared community vision of its future. It was initiated by the public demand for an inclusive process of revitalization and adopted by the City in 2006. 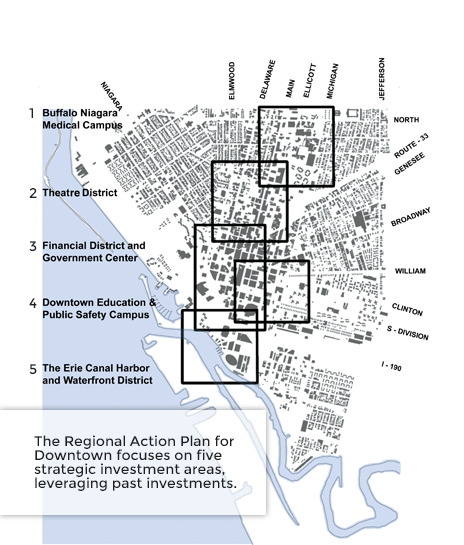 The goal of the Comprehensive Plan is to reverse Buffalo’s long-term decline in population, employment and the quality of the physical environment through coordinated and strategic investments in economic development, neighborhood revitalization, and the infrastructure of the city, through the implementation of smart growth principles. The Queen City Hub is the framework for a place-oriented program of development for revitalizing downtown. By 2004, strategic areas of investment identified in the plan had received over $400 million in real investment with an additional $600 million committed from the public and private sector. The Queen City Waterfront incorporates Buffalo’s Waterfront Corridor Initiative with its Local Waterfront Revitalization Plan. It bridges the false dichotomy between the values represented in transportation infrastructure development and public goals for a cleaner environment, better waterfront access, economic development, stronger and better-connected waterfront neighborhoods, and a great international waterfront gateway. It accomplishes a vision – “Buffalo emerged from its waterfront and is determined to return”. The Olmsted City is a restoration and management plan for the Olmsted-designed park and parkway system. This includes 846 acres of parks (over 60% of all city parkland), and over 6 miles of parkways. The system has suffered years of neglect, and surrounding urban neighborhoods have suffered from that neglect. The plan argues that a restored and expanded park system can help regenerate urban neighborhoods, improve quality of life and the health, and provide important environmental services such as habitat for wildlife, cleaner air, and stormwater management. Awarded for Downtown Buffalo 2002!